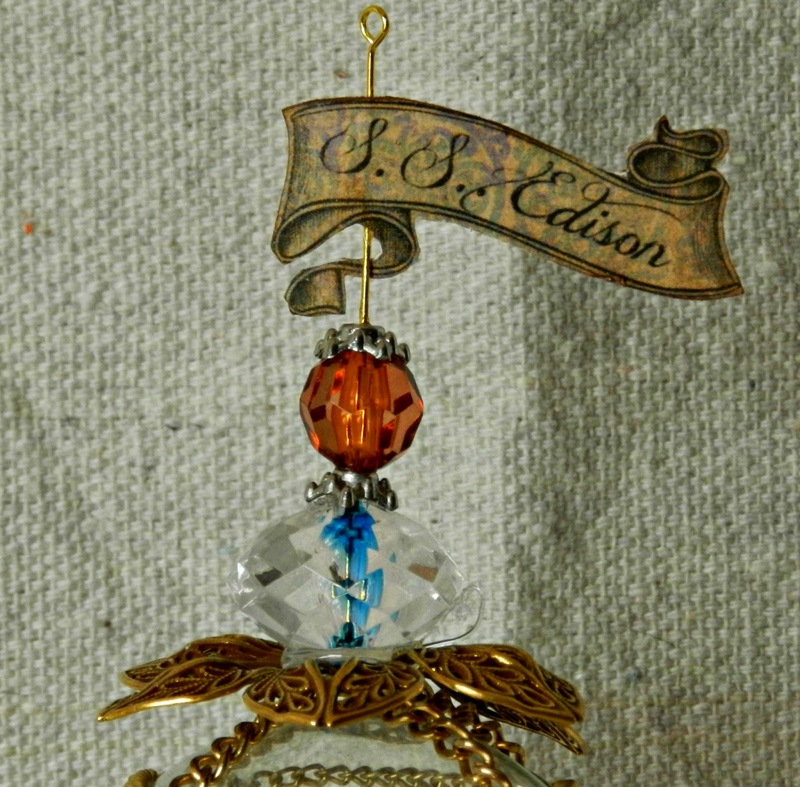 I created this miniature electric balloon for Sandee & Amelie's Steampunk Challenge. Transparent was the theme for March's challenge. 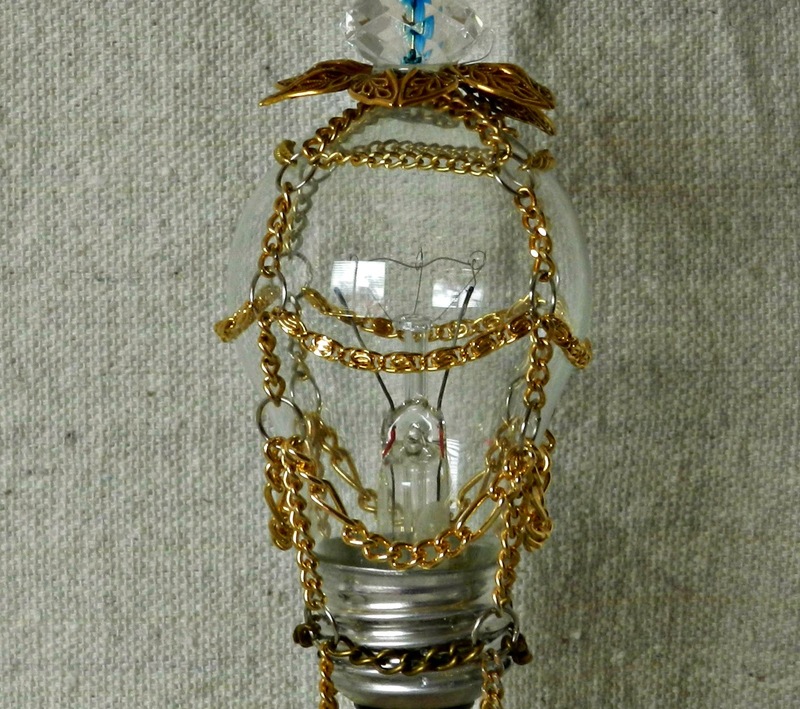 The cage for the electric balloon (lightbulb) is made of spare necklace chains that I cut and jump-ringed together, Embellishments also include some junk jewelry I had. The flag is free from PicMonkey. I love that you can just click "create" to use their graphics for non-picture projects. 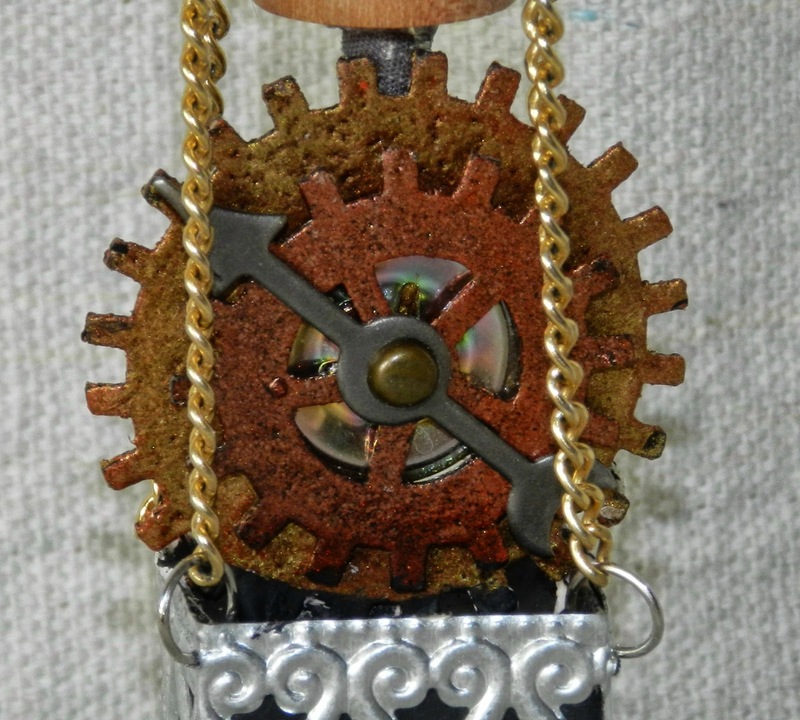 Gears were made from chipboard using my Silhouette and then embossed with copper and gold powders to give a metallic effect. Basket to carry passengers is a a small black box that I painted black and cover with metallic edging that I got at Hobby Lobby not too long ago. 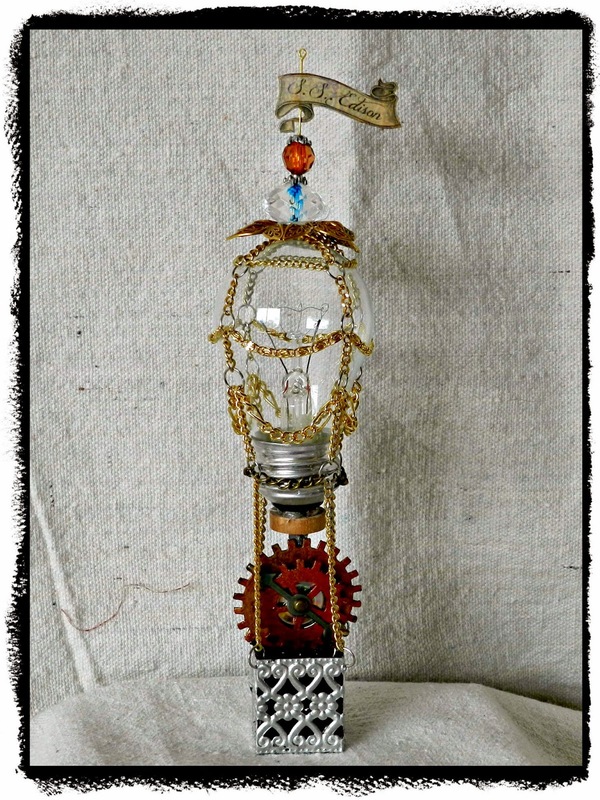 I have definitely caught the Steampunk bug! 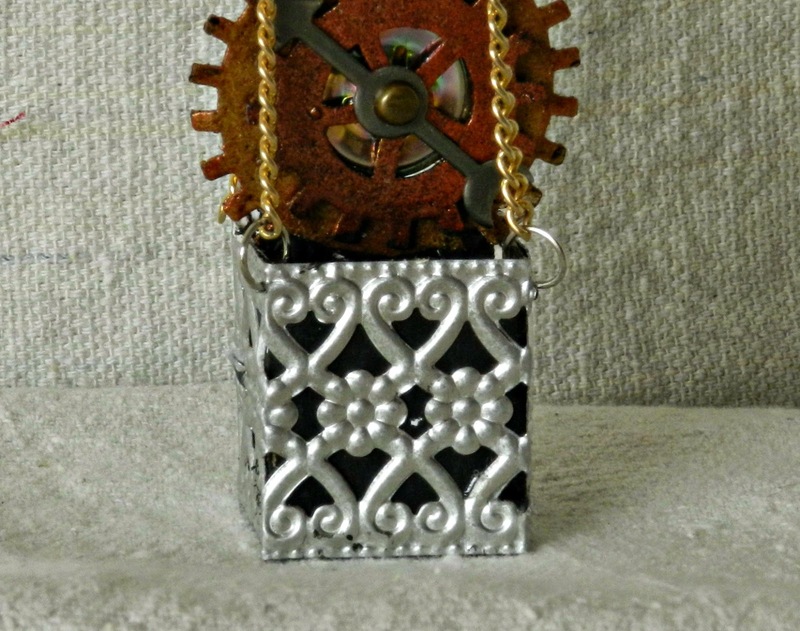 I love the embossing, the metallic rubs, the macabre undertones, the metal, the gears...Oh! I love it all!